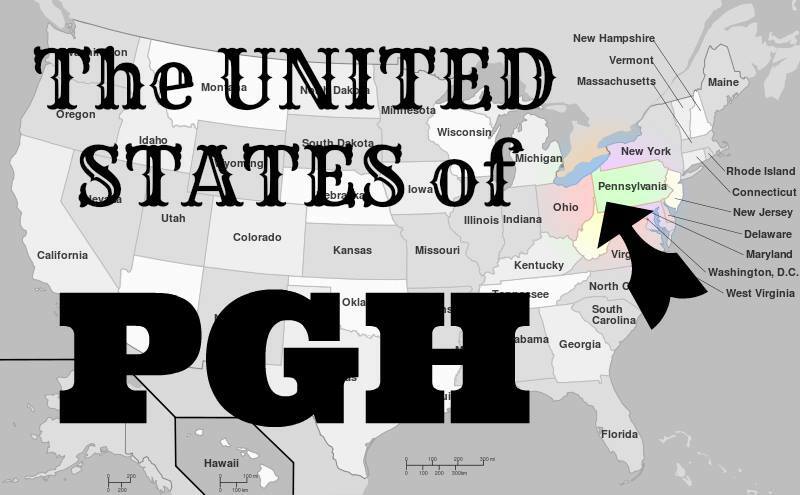 Paris, Pittsburgh, And More: The United States Of Pittsburgh? In a week I’ll be flying home to my native Pittsburgh for a week’s visit. Take me home city roads! They say you can never truly go home again, but I'll try. Tens of thousands of us Pittsburghers left home in the 1980s, mostly for job reasons in what's called the Pittsburgh diaspora. It’s an almost biblical story of exodus. One measure of the sheer size of this migration is the reach of The Pittsburgh Steelers. Via SteelerNation, the city is known to have the broadest fan-base of any football team in the U.S. That aside, the Internet and social media have made it easier for ex-yinzers to keep in touch. Apart from seeing family, of course, I hope to check out some new sites. 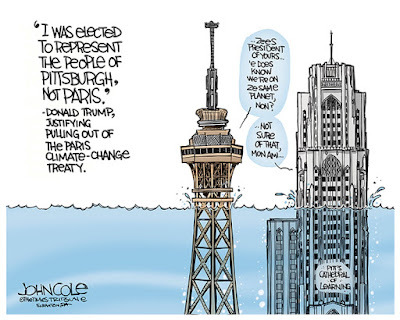 I especially want to see places with Paris-Pittsburgh connections. Like the birthplace of writer Gertrude Stein, who lived in Paris and cultivated artists like Picasso. And the birthplace of Mary Cassatt, the American Impressionist painter who joined a circle of artists in Paris including the Manets and Berthe Morisot. I’m also curious to see the up-and-coming neighborhood of Allentown, which was spiraling down when I was growing up. My high school, Hilltop Catholic, now closed, had one of its buildings there. Allentown is also home to magnificent St. George church, recently closed as well. My favorite neighborhood is under-rated Brookline, just a walk from my parent’s place. There I find authentic and amazing donuts for breakfast, Greek sandwiches for lunch, and Mexican sidewalk tacos for dinner. In between bites, I like to stop at the Carnegie Library branch to grab a book or a DVD. The good news is that the exodus of of Pittsburgh has stopped. The city’s vibrant culture and affordability is attracting millennials, a new generation of workers who are digging in. The Lost Generation of natives that left Pittsburgh can never go home again to exactly the place we remember, but perhaps to a better place, which has become less blue and more white around the collar. Want to follow this blog? Enter your email address into the “Follow me” box. Rose Marie Burke, an editor and journalist, writes a blog, http://parispittsburghandmore.blogspot.fr/, about her personal insights into life in Paris. After 20 years in the City of Light, she still calls her native Pittsburgh "home." You can also find me on LinkedIn, Facebook, or Google+. My best friend's granddaughter (from New England) just graduated from Pitt and is living in, working in and loving Pittsburgh! Hope your visit home is satisfying in every way!